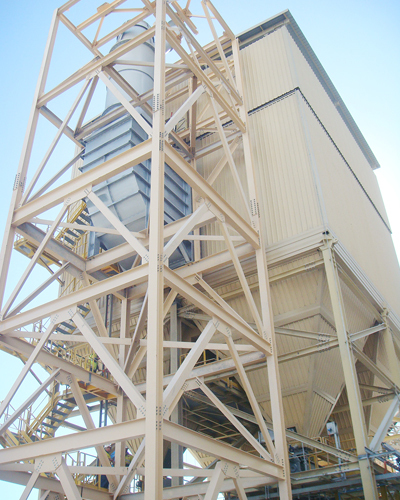 Redecam’s success began three decades ago providing air filtration solutions to the cement industry. Through extensive R&D and decades of experience, our team of engineers has developed products specifically targeted to the lime industry, such as our Double-Passage Gas-to-Air Heat Exchanger. We can conceive, design, manufacture, install and commission all systems necessary to control air and flue gas emissions from your facility, allowing you to reach emission reduction targets and become more environmentally friendly. Our sales and engineering teams can suggest the best options for you in terms of air filtration, flue gas treatment, gas conditioning and materials transportation and handling systems. Our Client: Titan America, a subsidiary of Titan Cement; a large international cement producer based in Greece. We transformed the existing ESP into a Redecam Bag Filter and added a Gas-to-Air Heat Exchanger to adhere to the most stringent NESHAP PM rules and ensuring emissions were under 10 mg/m3 (0.07 lb/st of clinker). 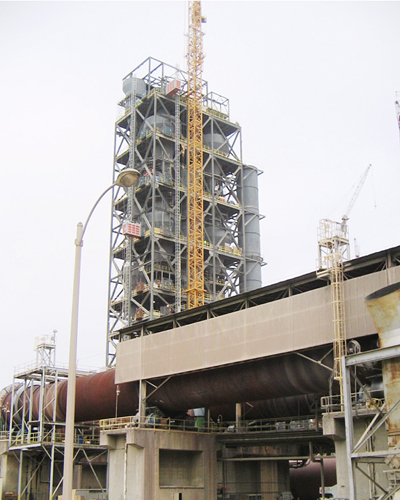 Our Contract: Provide solutions for this cement plant’s clinker cooler and kiln/raw mill using as much of the existing equipment as possible. Our solution had to be the best in the business, as Roanoke Cement Company is an Energy Star® Partner and the recipient of a number of environmental, industry and safety awards. Our Solution: On the clinker cooler, we transformed the existing ESP into a Redecam Bag Filter, maintaining the exterior casing but changing internal parts. This solution, a Redecam specialty, saves considerable CAPEX yet performs as well as new systems. A Gas-to-Air Heat Exchanger was added. Due to space limitations and to maintain access to a road, Redecam designed a structurally independent steel support that allowed them to install the HE on top of an existing electrical room. Installation and commissioning were completed during a 20-day planned outage. 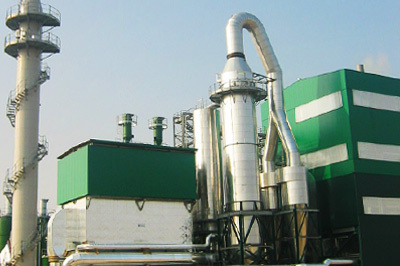 On the kiln/raw mill, the system includes a new Redecam customized Gas Conditioning Tower, a new Bag Filter, a new I.D. fan, dust handling equipment and new ducts and relative dampers. The scheduling was done in order to complete about 95% of the equipment erection before the planned outage, leaving only some tie-in activities during the outage, for which Redecam crews needed a mere six days. Both systems are compliant with all current NESHAP PM regulations and the kiln/raw mill APC system has been designed to be easily modified to adhere to any future, stricter, regulations. Our Client: Carmeuse, a worldwide leading producer of high calcium and dolomitic lime, limestone and derived products. We replaced the entire air filtration system while using the existing support structure to minimize costs. Our solution also decreased water condensation to avoid corrosion and mud clogging. 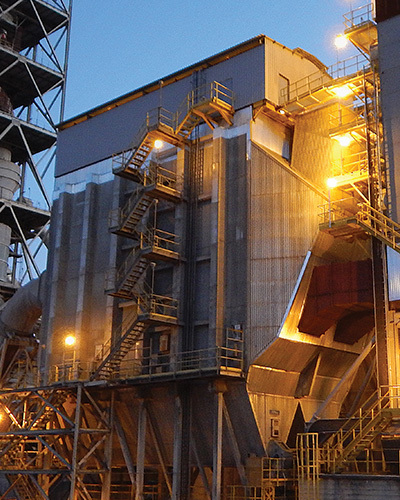 Our Contract: After completing a contract for Carmeuse at their Grand River plant, we were contracted to replace the entire air filtration system at this facility, in operation since 1964 and producing 2.5 million tons of lime annually. Our Challenge: It was advantageous to our customer’s budget and timeline to use the existing support structure. We therefore re-designed our equipment to fit their structure. Our Solution: We installed a new Redecam Bag Filter using the existing support structure and replaced an old inefficient U-tube heat exchanger with a Redecam Double-Passage Heat Exchanger, specially designed for lime applications. Our innovative design avoids local water condensation on the tubes, in order to avoid corrosion and mud clogging. 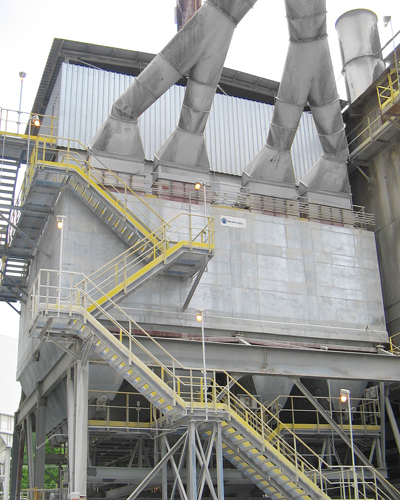 Our Client: Buzzi Unicem USA, one of the leading cement manufacturers in the U.S.
We provided a specially designed Redecam Bag Filter (baghouse) with the filtration capacity of two bag filters to fulfill the space restraints of our client. Our Contract: Provide a turnkey air filtration solution for a new cement plant – to be one of the largest cement plants in the US. 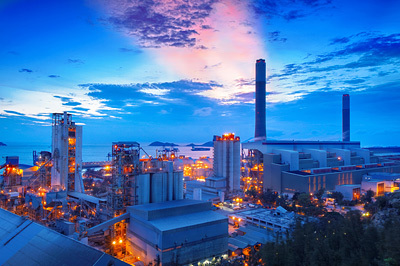 Our Challenge: The plant was designed to produce 2.3 million tons of cement annually, which would typically necessitate two bag filters (baghouses), however the layout allowed for one. Our Solution: We designed a special very large Bag Filter solution with two split casings, which would offer the highest particulate removal efficiency on the market, exceeding the most stringent emissions requirements to such a large plant, yet fit space requirements. The enormous filter presented an impressive transport and installation feat. They were pre-assembled into eight pieces of 8m x 30m x 5m (26 ft x 98 ft x 16 ft) each and assembled near the site. 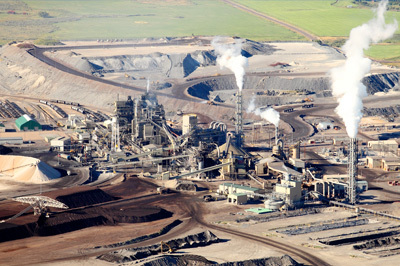 Our Client: Cockburn Cement, a major producer of cement and the only producer of lime in Western Australia. Our installed turnkey air filtration solutions, including a Bag Filter and Double-Passage Heat Exchanger, have exceeded expectations, maintaining emissions around 3 mg/m3. 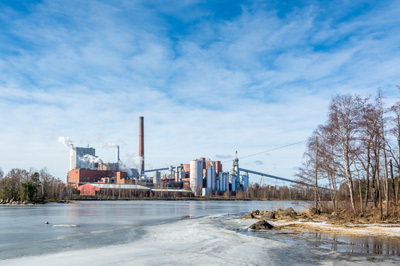 Our Contract: Find highly efficient emission reduction solutions for kilns 5 and 6 at the Munster Plant, which produce 100% of the quicklime in Western Australia. Our Challenge: With the community surrounding their Munster plant growing, Cockburn Cement has become highly engaged in the community to keep pace with people’s needs. The company was looking to replace their existing electrostatic precipitators and to promote their commitment to sustainability with their new air filtration solution. Our Solution: We provided a turnkey solution, designing, manufacturing and supervising the on-site installation of DPD-Model Bag Filters (baghouses) for kilns 5 and 6. We turned off the water sprays on kiln 6, which had anecdotally been identified as contributing to odour in the area, and added our large Double-Passage Gas-to-Air Heat Exchangers on both kilns. Both air filtration solutions have exceeded expectations: Cockburn Cement publishes a live emissions feed for each kiln on its website (updated every 20 minutes) and has had emissions around 3 mg/m3 since the kilns’ commissioning. Our Client: Holcim, one of the world’s leading suppliers of cement and aggregates. We successfully used the existing support structure to lower costs. Our air filtration solution drastically reduced the average dust concentration to 3-7 mg/Nm3. Our Contract: The plant, under Holcim’s Geocycle brand name in Vietnam, was designed to facilitate the co-processing of waste materials – everything from footwear to agricultural wastes – in its cement kilns. 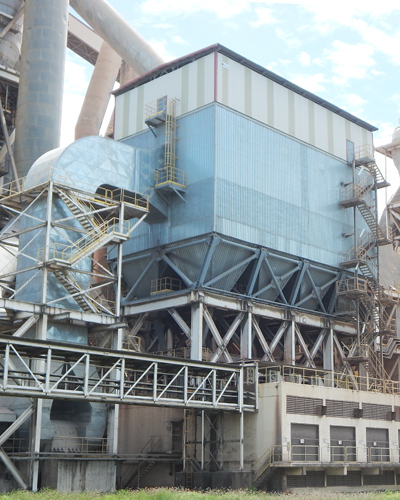 Co-processing practices and new technology developments meant that the 10-year-old electrostatic precipitator (ESP) needed to be replaced with the lowest-cost yet effective air filtration solution – ideally using existing equipment. Our Challenge: Unlike other retrofits we do, we had to demolish the exterior casings as well as the internal components as they were in bad condition. Our Solution: We successfully installed our new Bag Filter solution using the existing supporting structure, which was more cost-effective for our customer than a complete replacement. Redecam’s new Bag Filter provided an enormous improvement in performance, reducing the average dust concentration from 40-50 mg/Nm3 with the old ESP to 3-7 mg/Nm3.